Tape Length: 12 mm x 4 m.
The tape is tear resistant to be long lasting and durable. 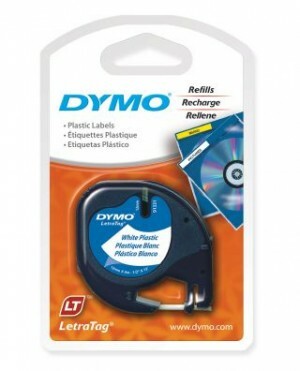 For use with DYMO LetraTag printers. DYMO LetraTag LABEL MAKER LT-100H It supports 195 symbols, 6 different fonts and a variety of eye catching borders. 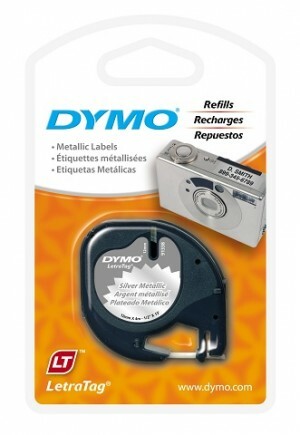 The labeller has easy to use navigation keys to make creating your labels a streamlined process. The labels have split backs so you can easily peel them. 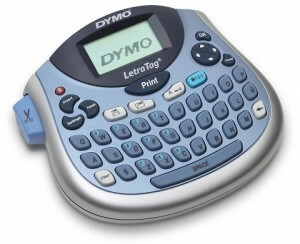 The LT-100T Label Maker has a compact design with a QWERTY keyboard for easy use. 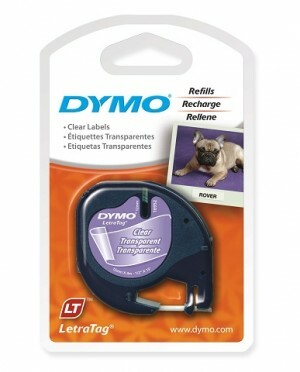 The graphic display allows you to preview your labels before they're printed. 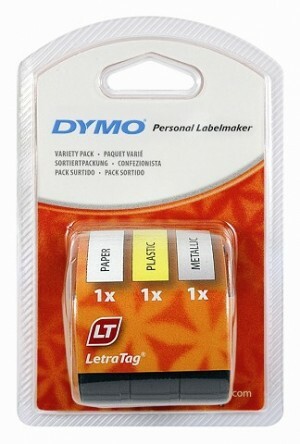 You can customise your labels with the 5 font sizes, 8 box styles and 2 line printing. 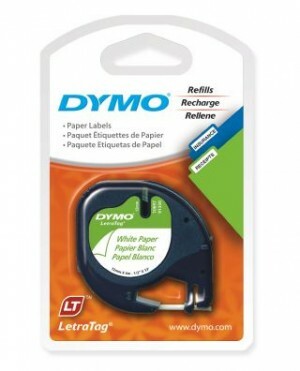 Store up to 9 labels for quick printing when you need them. The navigation buttons provide easy access to advanced features like font sizes and date and time stamping. The auto power off saver prevents battery drainage. It uses 4 AA batteries or an AC adaptor. 2 year manufacturer's warranty for your peace of mind.